What have the Romans ever given us? 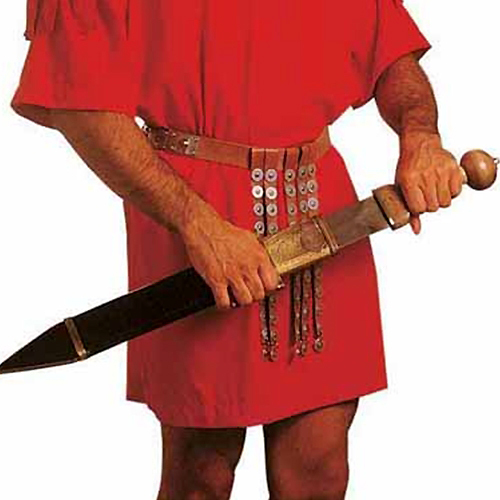 Well, if you're a Roman soldier, you'll notice that one thing they didn't include with your armor was below-the-waist protection. Here's what they wore - a broad leather belt with dangling leather strips reinforced with bits of metal. Dangly bits to protect your dangly bits. This version fits up to a 46" waist.